PiXel8-RF is a minimally invasive fractional bi-polar Radio Frequency system that disperses micro-needles deep within the dermis to produce dramatic skin tightening and skin rejuvenation and can be used on all areas of the body. The PiXel8-RF combines the latest advancements in Micro-Needling and Radio Frequency technologies. PiXel8-RF is the perfect solution to help restore youthful skin without surgery or downtime. What kind of skin conditions does PiXel8-RF treat? The PiXel8-RF provides correct and controlled coagulation and hemostasis to help stimulate collagen production and provide skin tightening and rejuvenation. The microneedle depth can be adjusted accordingly for each and every treatment area, especially for delicate areas such as under the eyes, the forehead and cheek bones. Can the PiXel8-RF be used on all skin types? 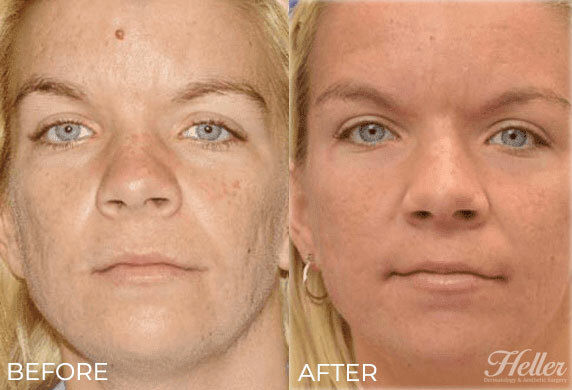 The PiXel8-RF, unlike laser treatments, can definitely be used on all skin types. It only uses radio frequency energy. Thus, there is no risk of thermal damage to the epidermis and it almost eliminates the risk of PIH in darker skin types. Patients usually experience very minimal to no downtime after the PiXel8-RF procedure. Only a few restrictions are common after an RF microneedling procedure. The treated area may be red for up to a full day. Your downtime may increase if the magnitude of the procedure is deeper. Be sure to ask your specialist for a detailed estimate of downtime. What should I expect after the PiXel8-RF treatment? Most patients will experience some redness and some minor swelling which will typically ease off within 24 hours or less. The patient may apply makeup after the 24 hours. How long does it take to perform a PiXel8-RF treatment and how many treatments will I need? The PiXel8-RF procedure normally lasts about 20 minutes. It will take an additional 30 minutes if the treatment area needs to be prepared. 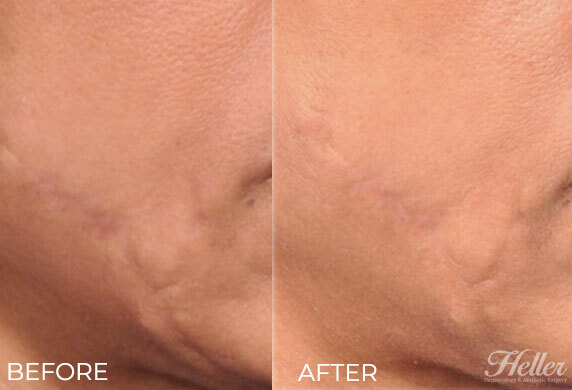 Obvious results are generally seen after just one procedure. A three-treatment series is highly recommended to help you achieve maximum benefits. If you are interested in learning more about PiXel8-RF, please call Heller Dermatology and Aesthetic Surgery to schedule your appointment!